NASCANS’ community-based student care centres believe in providing a holistic learning experience for the students through specially curated programmes and activities. Under the care of our team of qualified MOE teachers, the students will be supervised and guided in completing their homework. Once the students have completed their daily homework, they will be given carefully selected supplementary assessments to practice. Our teachers will be on hand to explain theories and concepts to the students to help them be on track with their learning. There will also be spelling and dictation practices, tutorials for various subjects and reading programmes for the students. 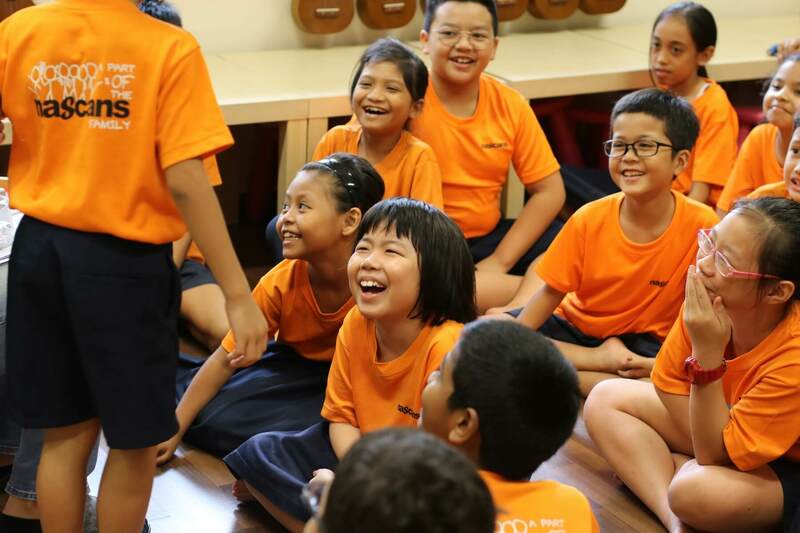 In addition, we offer an array of enrichment programmes for the students which focuses on indoor skill-based development & interactive learning, outdoor power engagement activities and even holiday programmes. Our group activities are designed to invigorate students after a long day in school and to develop sportsmanship, teamwork and mindfulness. At our student care centres, we institute a structured timetable to instil self-discipline, responsibility and task ownership in students. This builds strong and positive habits that will enable them into adulthood. We know that students also need nourishing meals to grow, learn and be active. We provide home-cooked meals and tea time snacks before and during their study period. This ensures that your child is well-cared for, from their wellbeing to their learning journey. We institute a structured timetable to instill self-discipline, responsibility and task ownership in students. This builds strong and positive habits that will enable them into adulthood. This consists of bespoke lessons that wil teach students on acquiring and retaining knowledge effectively. Developed by our in-house curriculum team with over 25 years experience running PAL and ICT programmes across MOE Schools, using globally recognized pedagogies and Higher Order Thinking Skills (HOTS) techniques. These activities are aligned with our partnering school’s values that infuses the school values into competitive activities such as collaborating as a team to achieve goals, overcoming obstacles and learning to work as one entity, which are useful in application of their daily lives. The holidays are opportunities for students to engage in learning beyond the classroom. A smorgasbord of fun, hands-on activities and outings await the kids, as they go beyond their textbooks to learn and grow holistically whilst having a great time. Students build character, social and interaction skills and bond among themselves and their mentors. 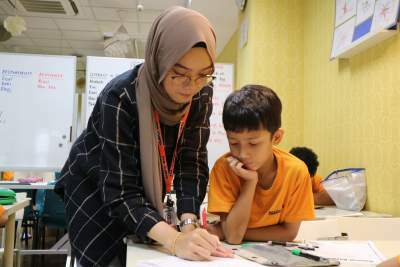 Our student community-based centres provides small groups of tutorial sessions for English/Chinese/Maths/Science to supplement their academic learning. Our tutorial mentors are selected based on their subject strength to bring out the best in your child’s weakest subject.